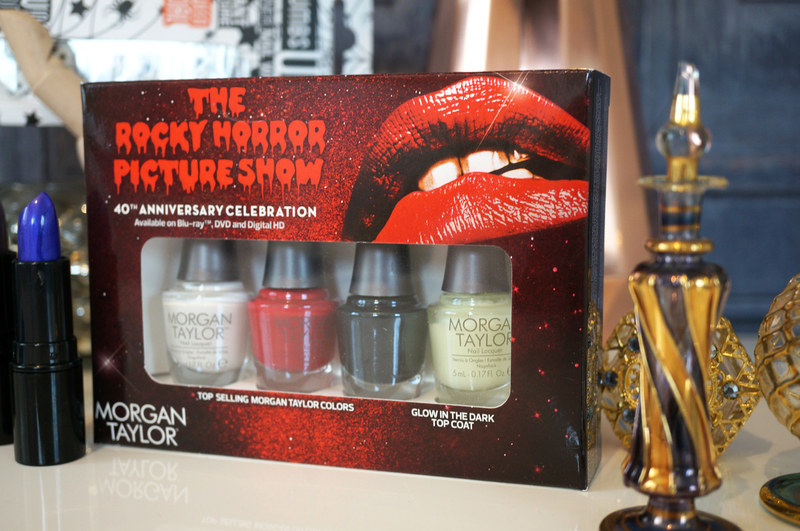 This fab little set was created especially to celebrate the 40th anniversary of the greatest cult film and longest running theatrical release of all time – The Rocky Horror Picture Show. This pack of four mini 5ml polishes contains three top selling Morgan Taylor colours as well as a glow in the dark top coat. 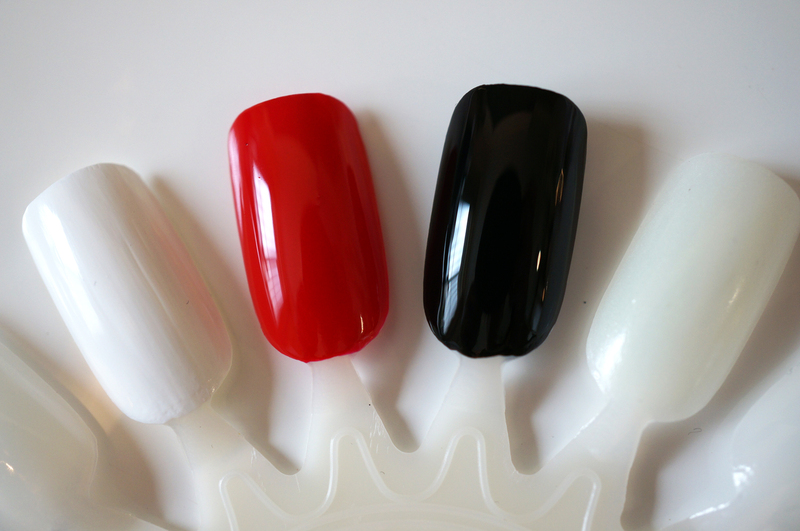 The colour shades are All White Now (bright white), Pretty Woman (red crème), and Little Black Dress (black crème). The polishes are definitely some of the best I’ve ever used in terms of consistency. I nearly had full opacity with just one coat, with is unbelievably impressive for the white shade especially. 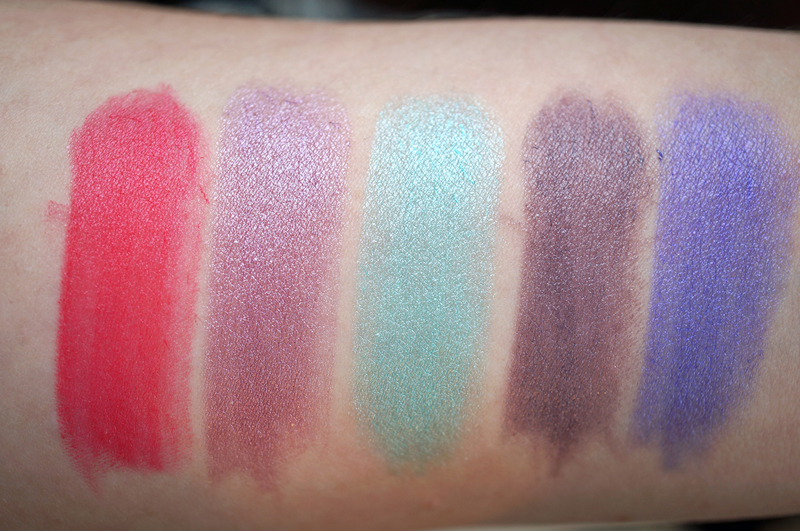 I ended up using two coats for the above swatches, and (apart from the white, which I messed up a bit) they all have a gorgeous high gloss finish. Pink Myth – a bright coral pink with a creme finish. Throne – a muted lavender shade with a pearlised finish. Horn of Magic – a light sea green with a pearlised finish. Legend – a muted grey toned lavender with a paralysed finish. Magical – a bright blue toned purple with a slight pearlised sheen. 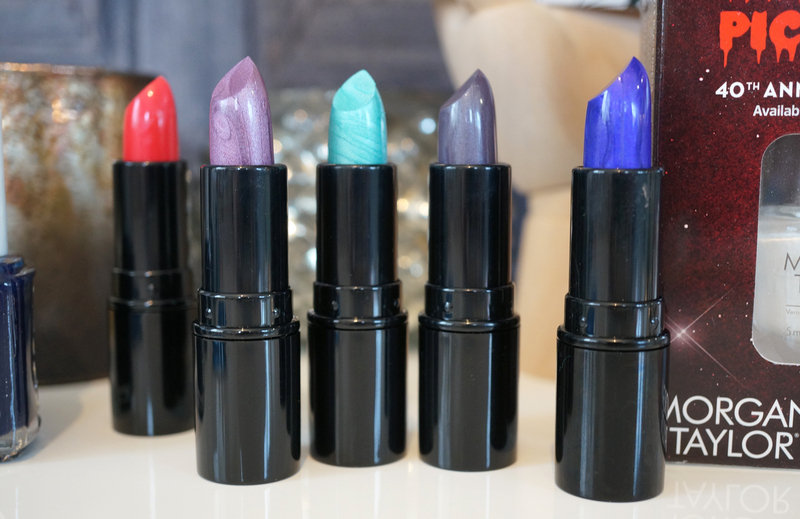 The lipsticks aren’t quite as pigmented as I’d hoped to be honest, but they still they do the job, and for only £1.00 each (or less if you buy them as a set) these could be just what you’re looking for to complete your Halloween look this weekend. 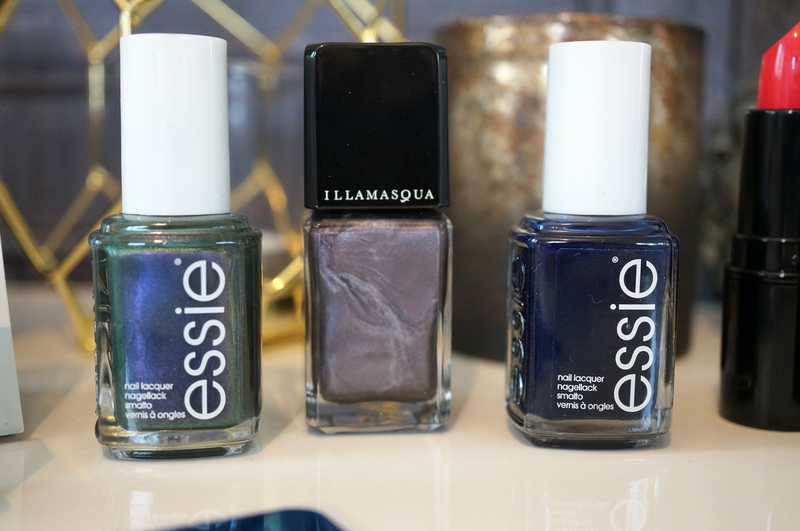 All of these polishes are fabulous in terms of consistency as well as ease of application. I think Essie’s after school boy blazer has to be my favourite though, it’s a beautiful, almost black midnight blue shade. 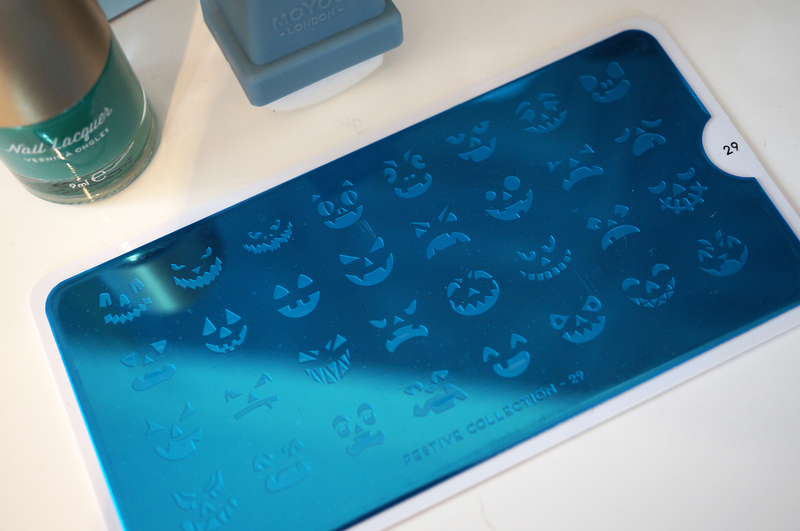 If you haven’t heard of Mo You before, they offer a massive selection of nail products, including stamping and nail plate sets, nail tools, nail art products, and nail polishes. 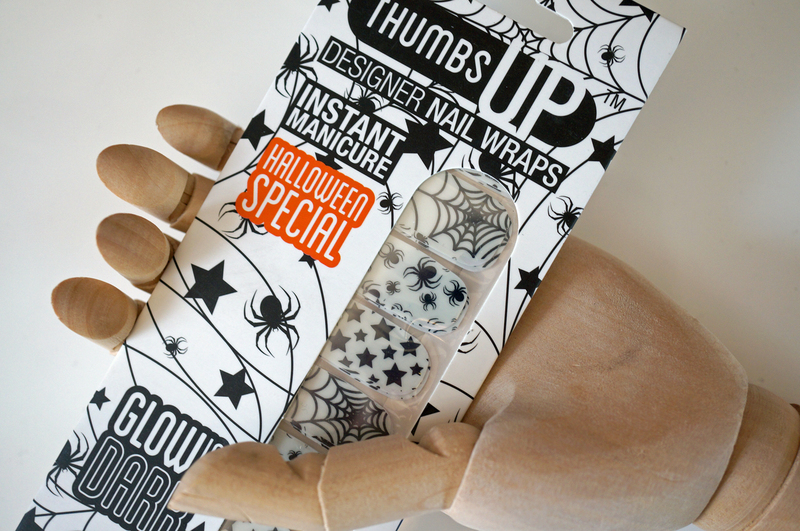 If you’re into nail art, you should definitely check these guys out! I hope some of these products have inspired you for this weekend! Do you have you’re halloween outfit planned yet? I hope you enjoyed my post!